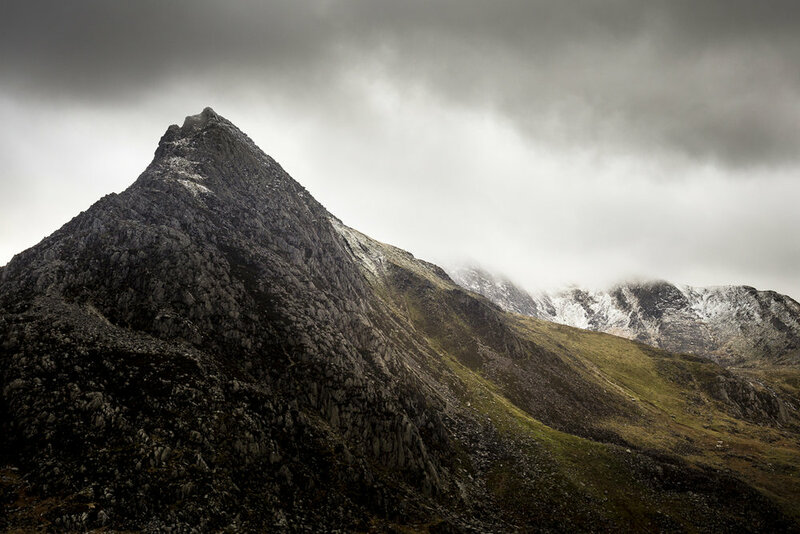 There's been a little bit of a buzz around the landscape photography world recently about the new Kase filters so I took their 'Wolverine Series - Entry Level Kit' out to Snowdonia on our recent 'on location' trip with Greg Whitton & Karl Mortimer for episode #30 of the podcast. I was keen to try out the new Kase filters 'in the field' and preferably against something many people already know and use, including myself, the Lee Filter Kit. Further below (and on the video) you'll get to see direct comparisons of each set of filters (specifically the 6 stop ND) in action with some back to back image comparisons (UN-processed RAW files) of the same scenes. I'm also going to smash through some FAQ's about the pricing, compatability etc at the end of the blog. First up maybe take a look at the video now, or at the end of the blog. You get to see the locations, the kit in action and an on-screen walk through of the main talking points on the images. 1. You already have a set of filters from brand X,Y,Z but want to see how these compare. 2. You don't have a set of filters yet and would like to know more about the relative merits of the Kase vs the Lee Filters. 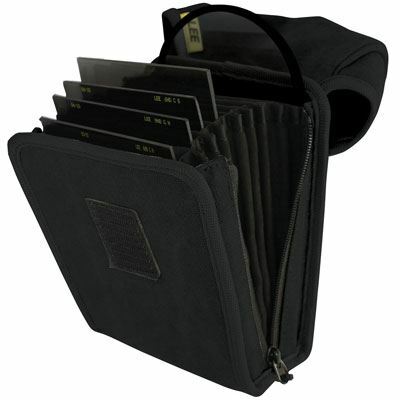 The filter bag is a smart leather unit with clasp that also has a shoulder strap. Within the holder itself the slots for the filters are made of a hard plastic material which keeps them from moving about, my only minor criticism per se would be that when slotting the smaller square ND's away (as opposed to the longer grads) you have to remember which slot has the little support base otherwise the square ND just drops right down to the bottom and the only way to remove it is to turn the case upside down - not ideal when you might tip out other glass filters! Whereas on the Lee bag that I tend to use it has a soft material slot for the filter so you can just slide in either the square ND or the longer grads without any issues. First up, it took a few moments to get used to the actual filter holder, it operates in a similar way to the Lee in that you can leave a filter ring on the end of your lens and you hook the filter holder over and into position and then it has a screw on the right hand side that tightens it - as opposed to the possibly quicker release of the Lee system. No issue either way for me, just different. 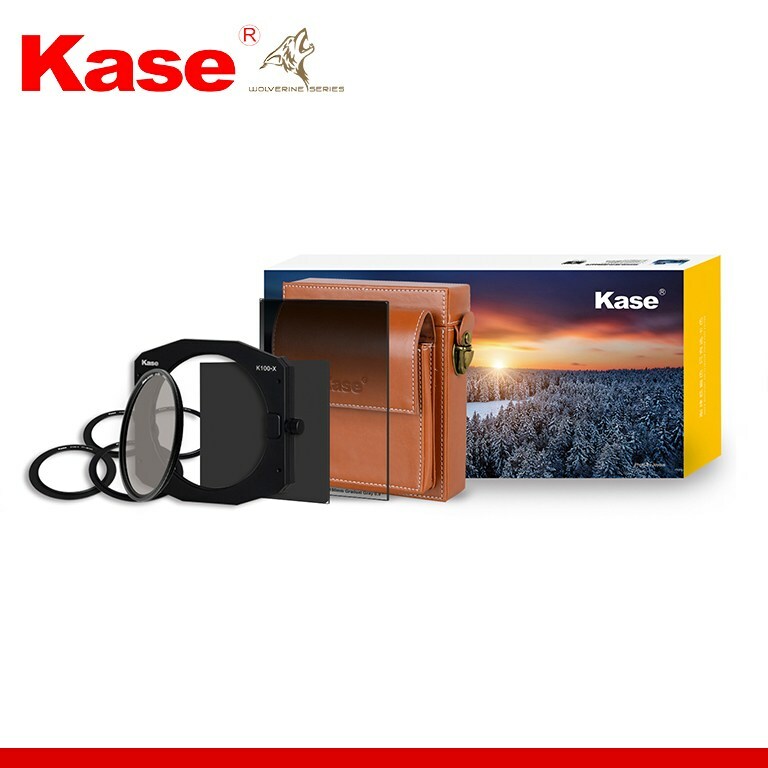 The Kase filters slide neatly into place, just like the Lee models in their holder on the lens. You can use the Kase filters in the Lee holder with some adaptation - I cover this in the FAQ's at the end of the blog. One big boast from the Kase team is that there filters can safely take a few drops before snapping into pieces! As someone who has found out to their cost that usually 1 drop is enough it was great fun to drop the test glass multiple times from Kase without any cracking or chipping - this is well worth consideration if you have a tendency for being a bad juggler! Another really useful benefit of the Kase that we had on test is that it wiped dry really easily (as shown in the video). This is a big one for me as I've been so frustrated commonly using other filters at the coast or in light rain and just pushing the water around the filter and it smearing and all sorts. These Kase filters wiped off clean, very easily and I was mightily impressed. I shot two main 'back to back' comparison scenes. In both cases I was in overcast light (i.e. stable and consistent) and the images were shot using the exact same settings; ISO, white balance, f-stop, shutter etc and also made within seconds of each other. The idea of these images was not to add to my portfolio but to give good working examples of common scenes where you may want to use a 6 stop ND. As you can see there are some pretty major differences there in the colour cast/hue and even clarity to a degree. I must point out the 'actual' colour, which is quite a magnificent turquoise, of the pool of water on that day (it changes depending on the weather, time of year, chemical reactions within it) was probably somewhere between the two but closer to the Lee. Similarly the slate on the left side of the pool was again somewhere between the two. Fundamentally it's about which RAW file gives you the best 'starting point' for your final image which in many cases is not just about producing a representational shot of a location. Depending on your style of photography you may be wanting to express a different visual narrative or your own aesthetic but as you'll see in the next example it's probably easier to have a starting point that is closer to 'reality' to build upon. 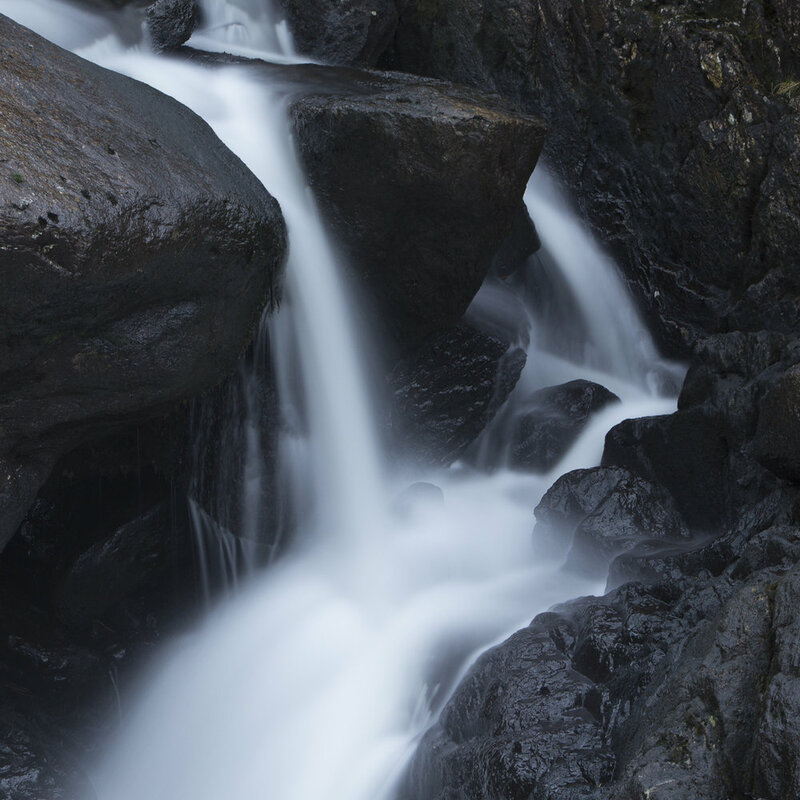 The second image was a neat little square from a segment of falls near Llyn Ogwen. I knew from experience this would be a great test of the filters as it would really show in the water AND in the rocks if there were any heavy colour casts going on. Here the Kase was really impressive. It was early evening and the light was quite dull and fairly cool, the very slight warmth of the Kase helped keep the scene looking very natural and neutral and it made for a RAW file that needed very little adjustments for a natural look. Whereas the Lee really came out quite blue/cool which exacerbated the colour balance/temp issues of that time of day. I've found this is often the case, and here it's not just the water but the actual rocks as well. If you watch the video I go into a bit more detail and when preparing the 50/50 split above it was just like wiping away a blue sheen that had been laid over the image when deleting the Lee layer from above the Kase to produce the split as seen above. I was primarily impressed with the colour balance of the Kase 6 stop ND. As I mentioned earlier, the 3 stop soft Grad performed very similarly to the Lee and as such there was no real news to get into there. However, I can see that the neutrality (or maybe slight warmth) of the Kase would be actually really nice to use when on longer exposures. Commonly the Lee Little & Big Stopper range do give you quite a blue/cool RAW file and it's not as simple as just bumping up the temp slider as that causes other issues (a video on that is coming soon!). The physical handling of the holder and usability of the Kase kit was good but didn't make me immediately want to sell my Lee gear, I suppose an element of that is familiarity and of course the finances of it. At the time of print (Dec 2017) the Kase kit is £375 which is not totally dis-similar from the equivalent Lee components but it is a little more expensive. The benefits for me would be colour neutrality (which is v.important) and the fact they can take a tumble or two without smashing. Also the ease of wiping dry when in the field cannot be underestimated, it can be the difference between getting the shot and not getting it if you have smudges etc. So, if you're a Lee user it might be worth considering a Kase 6 + 10 stop ND to add to your kit (with the adaptation as mentioned in FAQ below), and then maybe explore the whole Kase kit at a later date. Or, just go for it in one whole hit! However, to play devils advocate here you also have to think about the longevity (unknown on any new brand), the availability of spares, will they hold some used value etc etc? All the boring but practical stuff we should think of. There are also the new Lee 'Pro Glass' range which might well solve some of the above issues...maybe we'll get our hands on those soon and go back to back in another comparison. Q: Can you use the Kase filters in a Lee Holder? A: Yes, but Kase recommend you use their adaptor rails that fit into the front of the Lee holder. This is because the Kase filters are slightly thinner and as such may slip through if used in a Lee holder. There are some UK photographers who have been successfully trialing the Kase gear in a Lee holder so it's perfectly possible. Q: Are they really shatterproof? A: We were given a test glass that we were encouraged to drop. It survived multiple drops on rock before showing any chipping or breaking. 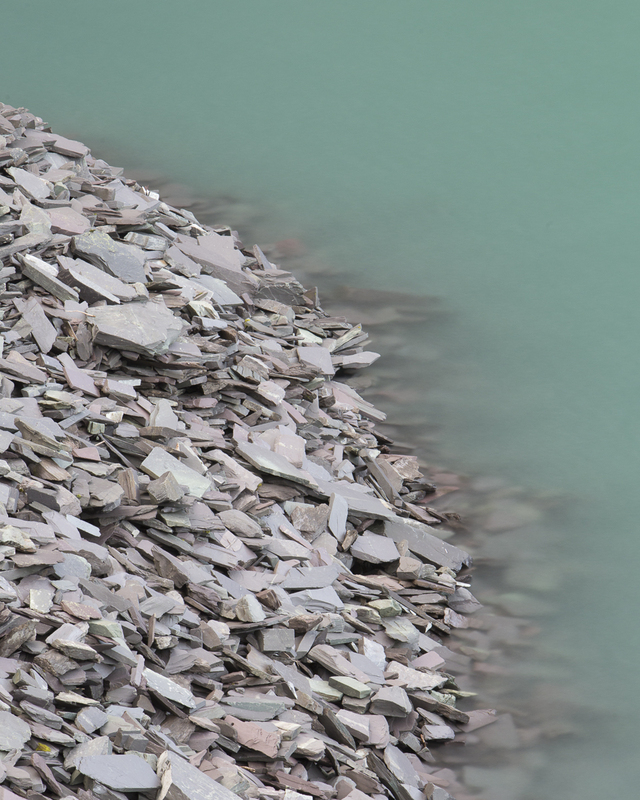 In our experience it only usually takes one drop on rock to smash most filters, so this was very impressive! A: All Wolverine filters have 'nano-tech' coatings that help control reflections, repel oil and water and are mold resistant. They simply wipe clean when covered in sea spray, or water with minimal smudging. What does this mean in reality? Well, in our test (as you can see in the video) they wiped clean really easily - this is not something that is always true of other brands and can be really frustrating in the field. Q: Do you get free kit or paid for these reviews? A: I wish! We always approach these reviews with an open-mind and are happy to show any gear that we think would be of interest to our audience. We're active photographers and so have a natural interest in keeping up with what is out there and sharing that impartially with you. Q: What would you recommend for a newcomer to filters? A: First up, I'd recommend saving up and buying from one of the pro end makers. This includes Lee, Hi-Tech and now Kase. I've seen many people buy cheap filter sets with dubious quality plastic/glass which have awful image quality. Also the holders are often fiddly and all that happens is after 6-12 months you end up buying a better set. It's more cost efficient to just buy the better set in the first place! Trust me...I did it the wrong way round as well. I'd also say have a think about what you want to use filters for and why. Think about the shooting scenarios you are in and how filters could help you from a technical point of view of making a balanced exposure, and/or from a creative point of view to let you hone your aesthetic vision. Q: Which filters (in terms of Grads, NDs, Polarisers etc!) would you recommend as 'essential'? A: Again, it depends a lot on where, when and why. I would say for most people a 1,2,3 stop ND Grad set is great (go for the 2 stop if you can only afford x1) and then a 6 stop full ND for long exposure work. The polariser is also a great bit of kit but needs to be used sparingly and properly to avoid issues. I'd start with the ND grads and 6 stop full ND to begin with and then experiment with a polariser later.